Victoria Ahrensdorf first studied Feldenkrais® directly with Dr. Moshe Feldenkrais in 1978. She then participated in the second, and final, four-year Feldenkrais Professional Training Program ever taught in the U.S. by Moshe from 1980-1983. 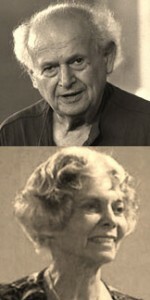 (Dr. Feldenkrais passed away in 1984. Read more about him here.) Victoria was inspired by the exceptional effectiveness and global nature of Moshe’s work. Early on she recognized that she would not only find it fulfilling to teach Feldenkrais to others but that, as a result of practicing the Method, she was bound to develop much more fully herself. Victoria has been teaching Awareness Through Movement® and Relaxercise® classes since 1981 and continues to be delighted by how students of all ages quickly gain flexibility and ease. In 1994, Victoria became the first woman in New England to be designated as an Assistant Feldenkrais Trainer for four-year Feldenkrais Professional Training Programs. All across the U.S. she has taught physical and occupational therapists, doctors, other professionals and people of all ages and from all walks of life. Victoria’s interest in working with those with physical challenges began early. At age 19 she was in a Peace Corp related program: University Year for Action and worked with people with a variety of physical challenges including: cerebral palsy, spina bifida, Fredrich’s Ataxia and hard of hearing individuals. She earned a B.A. in Sociolinguistics and American Sign Language Communication from Western Maryland College. She attended Gallaudet University as a special exchange student, learning American Sign Language and then worked as an interpreter between the hearing and Deaf communities for 8 years. She now offers individual Feldenkrais Functional Integration® lessons to individuals from the deaf and hearing communities alike. Awareness through Movement® and Functional Integration® were both developed by Dr. Moshe Feldenkrais, Dr. Feldenkrais,1904-1984, was a physicist and engineer who studied and did research with Joliet and Marie Curie at the Sorbonne in Paris. He was one of the first non-Asians to earn a black belt in judo studying directly with Professor Kano in Japan. Moshe spoke 11 languages and he traveled the world to serve people in regaining natural movement to improve every day functioning. Children and adults of all ages traveled to Tel Aviv, Israel, from many different countries to work with Moshe before he passed in 1984. Walk for Life® and Bones for Life® were developed by Ruthy Alon, a Senior Feldenkrais Trainer and a model for the effectiveness of these systems. Ruthy at age 82, moves better than most 40 year olds! She continues to travel the world teaching the Feldenkrais Method through her unique programs. 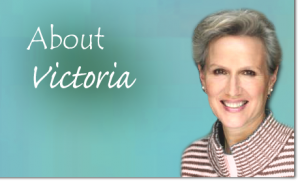 In private practice in the Feldenkrais Method since 1983, Victoria has worked with countless people who continue to prove the remarkable neuro-plasticity of the brain. Her students have improved functioning while dealing with a wide variety of challenges including Parkinson’s, cerebral palsy, multiple sclerosis, strokes and many other forms of brain injury, in addition to the more typical pain experienced by individuals as a result of injury, accident or aging. The Feldenkrais Method offers an environment where people of all ages – infants to seniors– can learn to become their own inner authority, to move with more ease and grace, and to better manage their own personal challenges. Victoria is currently in private practice in Northampton, MA, as well as where Ashfield, Conway and Williamsburg converge. Victoria teaches private lessons, retreats and classes in the Feldenkrais Method including her most popular retreats: “Aging with Ease and Grace”, “Free Your Neck, Jaw and Shoulders” and “Free Your Back, Hips and Shoulders”. She also teaches Bones for Life®, Walk for Life® and Conscious Eating® classes and retreats as developed by Ruthy Alon, Senior Feldenkrais Trainer. Health care facilities, businesses and corporations bring Victoria in to teach seminars to help prevent injuries and increase overall well-being. These seminars increase productivity and creativity in many ways . . . all while reducing stress and pain. For updates on one-hour weekly classes, day-long, week-long and weekend retreats, call Victoria at 413.563.7553.